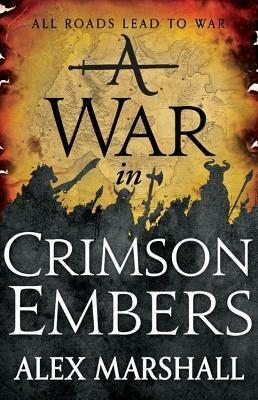 "This is a fitting follow-up to the first Crimson Empire book; full of bloody battles and strong females ... The writing and setting are rich ... Purna is a strong character who adds an interesting dynamic to the twisted and surprising story." "A Crown for Cold Silver drags epic fantasy through the mud - but it does so with wit, wonder and wisdom." "This lusty debut will have you gasping in one breath and laughing in the next ... Marshall is playing a long, glorious game." "Enough fiendish political maneuvering to make George R. R. Martin jealous." "An epic tale of invasion, civil war, and divine incursion." "A rollicking, obscene, subversive, and zany epic fantasy ride."